Entertainment Hollywood 16 Apr 2019 True turns one! Little True was a vision in a Blue dress as she matched her mommy. The doting parents hosted a stylish party, sparing no expense for their little girl. Khloé Kardashian and Tristan Thompson put aside all their past drama and came together to celebrate their daughter, True’s first birthday. The doting parents hosted a stylish party, sparing no expense for their little girl. 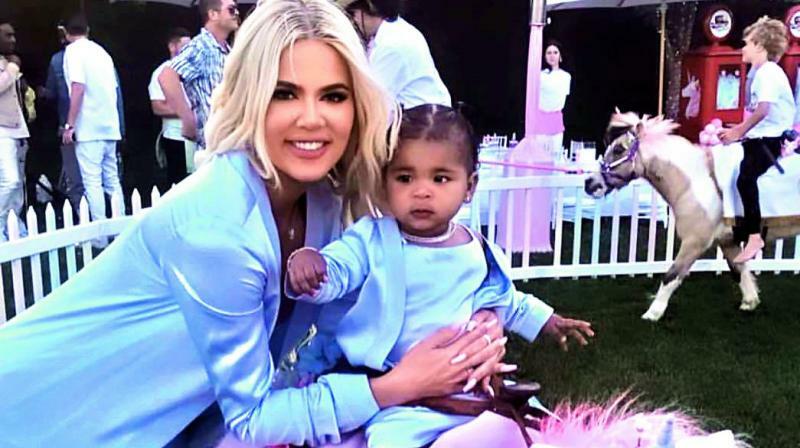 Butterflies, cotton candy animals, pastel balloons, ponies, and oh-so-much more were in store for True’s big day, with Kylie Jenner, Kim Kardashian West, Kourtney Kardashian and Khadijah Haqq in attendance, reports People.com. Little True was a vision in a Blue dress as she matched her mommy. “Mommy and me matching dresses by @augustgettyatelier,” Khloé captioned an Instagram Story.